Among one of the key figures of the New Argentine Cinema movement of the late 1990s/early 2000s, Lucrecia Martel is a figure who made films that explored the country’s growing social and economic turmoil that would usher in a new era for Argentina. Unlike many of her contemporaries such as the late Fabian Bielinsky and Juan Jose Campanella, Martel’s films focused on individuals living in the fringes of society as well as women finding their identity in their rural environments. While Martel, like several of her female contemporaries in cinema, doesn’t make films often due to their lack of commercial appeal. She has become one of the finest voices in cinema for her exploration of characters and their surroundings. Born on December 14, 1966 in Salta, Argentina, Lucrecia Martel lived in a city that was far removed from the more modern world of Buenos Aires. Salta was a city that appealed to the middle and working class who live north of the country as it proved to be a sense of inspiration for Martel. Though she would go to Buenos Aires in the 1980s to attend the National Experimental Filmmaking School which would introduce her to many kind of films and ideas about filmmaking. It would shut down all of a sudden due to lack of funds forcing Martel to use what she learned and teach herself more about the ideas and craft of filmmaking. At the same time, she also noticed the films that were being made in her own country that didn’t exactly appeal to Argentines other than the wave of post-junta films that talked about the country’s troubled period where it was under martial law. From 1989 to 1994, Martel would create several short films during that period that ranged from documentary to fiction-based shorts. Among them was a fictional two-minute short about a boy who is drawing pictures as he believes that a man who is stalking a woman is coming as he imagines killing the man. Though the short wouldn’t play into the themes that Martel would dwell into in later years, it did show that she had an eye for suspense and humor. Another short that was made in 1990 was a documentary short about drag queens in Argentina as Martel shot the doc on video as she filmed their methods into putting on makeup and why they chose the life of a drag queen. The short showcases what they do as performers as it gives them a sense of life while not wanting to become a sense of disturbance to anyone who would feel uncomfortable. With her work in short films that would allow her to refine her craft, Martel was asked to take part in a film project called Historias Breves I (Brief Tales I) which would give filmmakers from Latin America a chance to create short films as a way to break into the world of films. Martel would contribute a piece of her own as it revolves around an alcoholic crime figure who is asking for his wife unaware that she’s leaving him after years of abuse. It is set in a rural deserted area of Argentina as Martel wanted to show a film that was miles away from Buenos Aires in order to focus on those living outside of modern culture. The short would showcase Martel’s interest in the world outside of the city as well as the surroundings as it would include images of nature and other moments that are surreal. Among the moments are some of the visuals as Martel drew upon some of the visuals of the famed Russian filmmaker Andrei Tarkovsky who would be one of several influences into her filmmaking style. Notably in the way she presented this rural landscape as it added to the sense of despair for the wife and her children who are trying to leave where they’re confronted by her husband and all hell breaks loose. The short film would make its premiere in film festivals in 1995 where it won a short film prize at the 1995 Havana Film Festival in Cuba. The short’s success should’ve been the launching pad for Martel but the late 1990s would prove to be a tumultuous period for Argentina and its film industry. The economic depression of the country would lead to its film industry to make less films as its audiences started to dwindle where years of light entertainment and other stylish films became less interesting as it wouldn’t reflect the chaos that was happening in the country. Aware of what is happening in her home country, Martel would be part of a group of filmmakers who decided to make films about what is going on in the country rather than make the kind of films that is often expected from the mainstream. Martel decided to return to her hometown to make a film that would be part of an informal trilogy of films set entirely in the small town of Salta. Most notably as it would be inspired by Martel’s time with her family in rural parts of Salta as the film would be set in a remote family home where a family spend time in their country home as tension starts to simmer as it relates to relatives as well as the fact that they’re living in a decayed country home. The story would be told in the span of a weekend as it would explore the difference of social classes where a bourgeoisie family wants little to do with relatives who live in a poorer part of Salta. Rather than go for established film stars or top-tier actors from the country, Martel wanted to go for something different yet she would receive the services of Graciela Borges in the lead role of Mecha as Borges is known for being the country’s finest actress. Along with key roles from Mercedes Moran as Mecha’s cousin Tali, Martin Adjemian as Mecha’s husband Gregorio, and Daniel Valenzuela as Tali’s husband Rafael. With collaborators such as cinematographer Hugo Colace, editor Santiago Ricci, set decorator Cristina Nigro, art director Graciela Oderigo, and a team of sound mixers and recorders to create some intricate sound design for the film. Most notably the film’s opening sequence where Mecha, Gregorio, and other people are drinking and dragging their chairs towards the pool to play into the natural sparseness of the sound. Martel would also employ a sense of intimacy in her approach to the characters where Tali visits Mecha as the latter is injured which play into their differences where the former’s children are looking at this house that is unique but also messy and neglected with the inhabitants being bored. Even as Mecha’s kids are trying to find ways to kill their boredom as they live in a home that has a lot but want to venture into the forest for some form of adventure. Yet, they’re in conflict over returning to a home where their mother moans about the state of things and a father who is more concerned with retaining his youth as it play into Martel’s own fascination with characters wanting to be something else but are trapped in their environment. The film made its premiere in February of 2001 where it won the Alfred Bauer Prize as it would play in various film festivals where it would make its U.S. debut later in October where it played at the New York Film Festival to great acclaim and a limited theatrical release a week later as it drew rave reviews. The film would garner several prizes from Argentina’s film critics association as well as being a favorite among film critics in Europe. South America, and North America. For Martel, the film would also help the Argentine film industry as it would create more films that reflected the troubling nature of Argentina. The success of La Cienaga wouldn’t just give Martel attention in the world of film but also the chance to make another film as she got the attention of the famed Spanish filmmaker Pedro Almodovar and his producing brother Augustin. Along with the Almodovar’s longtime producing partner Esther Garcia, the trio decided to fund Martel’s next film as they had already succeeded in producing films for other filmmakers including Guillermo del Toro for 2001’s The Devil’s Backbone. Wanting to have her next film set in Salta but this time in the city rather than set it partially in the countryside, the film would revolve around a young girl who comes of age sexually and religiously as she meets a troubled doctor in the hopes that she can help him. Reuniting with Mercedes Moran who would play a supporting role of sorts as the mother of the young girl Amalia who is played by then-newcomer Maria Alche. It would be set partially in a hotel that is struggling with Moran as its manager as she becomes attracted to this troubled doctor in Dr. Jano played by Carlos Belloso who arrives for a medical conference the hotel is hosting. When Dr. Jano watches a puppet show with Amalia whom he mistakes as a prostitute, things become complicated as Amalia’s time in religious school would have her believing that Dr. Jano is in trouble and can be saved. While Martel would retain many of collaborators from her previous film, she would get a different cinematographer in Felix Monti who would provide a low-key approach to the lighting for the hotel to play up its decayed and troubled state. The film also played into some of the stranger elements about faith and sexuality as it relates to Amalia’s friend Josefina, who is played by Julieta Zylberberg, who is convinced that she saw a miracle when a man fell down from the home she lives in and had survived. Wanting to maintain a minimalist approach to the film, Martel chose to not use a lot of camera movements in order to create some precise compositions such as the film’s ending as it relates to Amalia and Josefina at the hotel swimming pool in a medium-wide shot. It would show Martel not just becoming more confident in her work as a filmmaker but also standing out from her Argentine contemporaries by creating films that don’t play by the rules as well as dwell into subject matters that many wouldn’t dare go to. The film premiered in early May of 2004 in Argentina that was followed by an international premiere at the Cannes Film Festival in France a week later where it played in competition for the Palme d’Or. While the film didn’t receive the same kind of praise her previous film did, it still managed to be a hit with critics as well as in various film festivals all over the world as it would get a limited U.S. release in April of 2005. The film would garner a few accolades such as special mention at a film festival in Sao Paolo as well as gaining a following in Europe and with art-house audiences in America. During a break between films, Martel shot a five-minute documentary short about the gated communities in Argentina as it played into her fascination with those that don’t fit in with traditional society. Yet, the focus is on the social divide as it relates to one gated community with a square foot of nearly 5000 km as Martel and her crew tried to go in as she is turned away with rumors that the community is filled with golf courses, lavish housing, and everything that upper class citizens would have. The short was controversial yet Martel did reveal that the divide in the social class was a major contribution to the country’s economic crisis of the late 90s. After a gap between films that included serving as a juror at the 2006 Cannes Film Festival for its main competition, Martel would once again turn to the Almodovars in funding the third and final film of her informal trilogy set in her home town of Salta. This time around, the film would revolve around a woman from a middle upper-class environment who would suffer a mental breakdown following a hit-and-run unsure of what she hit. Martel decided to go into this exploration of a woman coming undone as it play into the realization of her environment and her attempt to readjust to her normal life only for things to go wrong. For the lead role of the character Veronica, the famed Argentine actress Maria Onetto was cast in the lead role while the rest of the ensemble would be Argentine actors Martel hadn’t worked with. With the exception of costume designer Julio Suarez, Martel would once again work with an entirely new crew that included the Uruguayan cinematographer Barbara Alvarez. The film would once again be shot in Salta where Martel would emphasize on a more upper class section of the city as filming began in 2007 where Martel shot on location as it would play into rural areas of the city near the canals where the incident takes place. It’s an area that play into Veronica’s disconnect with the world around her as she is often protected by family and friends who shield her from the truth of what she did which would add to her mental and emotional deterioration. Rather than let things happen in a conventional manner where Veronica’s unraveling becomes something big, Martel chooses slow down this breakdown piece by piece to play into Veronica’s confrontation with reality. Martel would emphasize on minimalism to present this story as it played on long gazing shots and realistic surroundings as it harkens into the works of Italian filmmaker Michelangelo Antonioni. Notably as Martel had similarities to Antonioni’s themes of alienation as well as the exploration of social classes in relation to Antonioni’s work in the 1950s and early 1960s where the character of Veronica gets a glimpse into the world of the working class as she wants to help but is lured into the lifestyle that she has been surrounded by. Even as it add to this sense of despair and unsure if she can really contribute anything with all of her wealth. Martel would often shoot the character of Veronica on the edge of a frame to play into this sense of detachment with the world she’s in as it add to her descent. 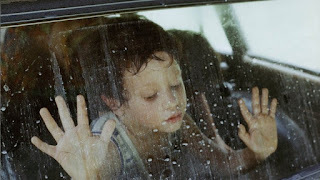 The film made its premiere in May of 2008 at the Cannes Film Festival where it played in competition for the Palme d’Or. Though the film didn’t win any awards nor was it well-received by audiences in its premiere as the film was booed. The film was well-received by critics as it was later released in August in Argentina to great acclaim. Two months later at the Rio de Janeiro Film Festival, the film received the FIPRESCI prize while the film would get a limited North American release in 2009 where it was voted best foreign film from the film critics association in Vancouver, Canada. Despite its acclaim and success in Europe and South America, the film would Martel’s last film for some time as she embarked on getting a major film project developed that would end up going nowhere. In 2010 while attempting to adapt Hector German Oesterheld’s graphic novel The Eternal that would be developed for two years where it eventually got scrapped. Martel decided to make a couple of short films during this time as one of them is an experimental fragmented short revolving around a group of people living in a seaside town as it relates to a mysterious event in the sea. Notably as Martel would focus on these characters who live in poor, working class environment either trying to find work or learn something from YouTube as the short would play into Martel’s interest in individuals or a group of people who don’t exactly fit into society. Another short film made in 2010 that Martel did was a four-minute piece relating to fishes as it another experimental short film that is drawn upon surrealism. The film mainly revolves around fishes singing as there would be these strange close-ups of catfishes and other fishes looking at the camera singing with brief images of cars driving on highways in the rain. The short would play into the absurdity of the world through look of fishes. A year later, Martel was approached by Prada in making a short film for their Miu Miu label as part of their Women’s Tales series of short films that were all directed by women. With Zoe Cassavetes making the first one, Martel agreed to take part in the project for financial reasons as well as do something creatively. The six-minute short would reunite Martel with actress Maria Alche who plays one of eight women wearing Prada clothing as they’re walking around a yacht on the Amazon River in Paraguay. Martel never shows the faces of the women, even as a couple of them wear masks, as it adds to the surreal elements of the film as well as the idea that the boat only feature women as a man tries to get in but never makes it as he is also never seen. The short would be a hit for the Miu Miu label as it would help give Martel financial stability after plans to adapt The Eternal finally fell apart. Following the failure of getting The Eternal made, Martel was able to find another project she wanted to develop in a novel by Antonio di Benedetto about a minor official in the colonial Spanish Empire who is in Paraguay during the late 18th Century where he is awaiting transfer orders to Buenos Aires. The book was considered a landmark novel in its 1956 release in Argentina as Martel would take years to adapt the novel into script while taking a break in 2015 to contribute a documentary short segment for the anthology film The Empty Classroom. The production finally began in 2016 where Martel would later struggle with a bout of cancer during post-production that would cause delays of the film that would star Spanish-Mexican actor Daniel Gimenez Cacho in the titular role. The film premiered in late August of 2017 at the Venice Film Festival where it drew rave reviews and became a festival hit as well as getting rave reviews upon its limited release in the U.S. and U.K. in early 2018. While she doesn’t make films often as they also don’t appeal to a wide audience due to their difficult themes and explorations of characters living in the outside world. 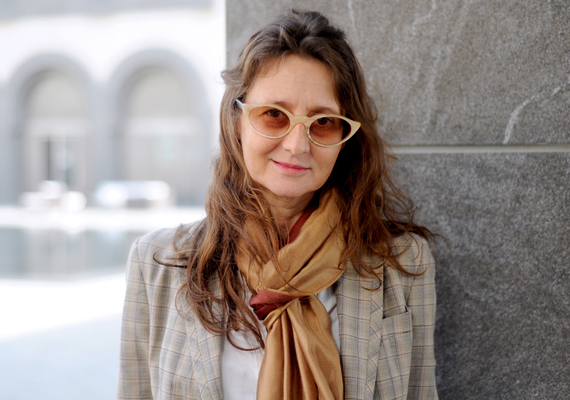 Lucrecia Martel does remain one of the finest storytellers in the 21st Century as well as be a leading figure for South American cinema. With only four films to her credit and several short films so far, Martel has managed to carve out her own legacy that will ensure her place as one of the best filmmakers working today and the hope that she can continue working in the years to come. Great piece. I'm not familiar with this filmmaker at all but now I want to see some of these films. Thank you. La Cienaga is available on Criterion as I think you can find her three feature films on Filmstruck easily. I doubt they're on Netflix. I'm glad you're interested as I like to profile filmmakers that need more attention.